﻿Bridon-Bekaert understands the demanding requirements of the industrial, steel and manufacturing sectors. haveing worked together with the sectors for many years to achieve efficiencies and minimising down time. Working together with crane, hoist and winch manufacturers Bridon-Bekaert have become a trusted and reliable supplier of ropes and solutions to the industry. 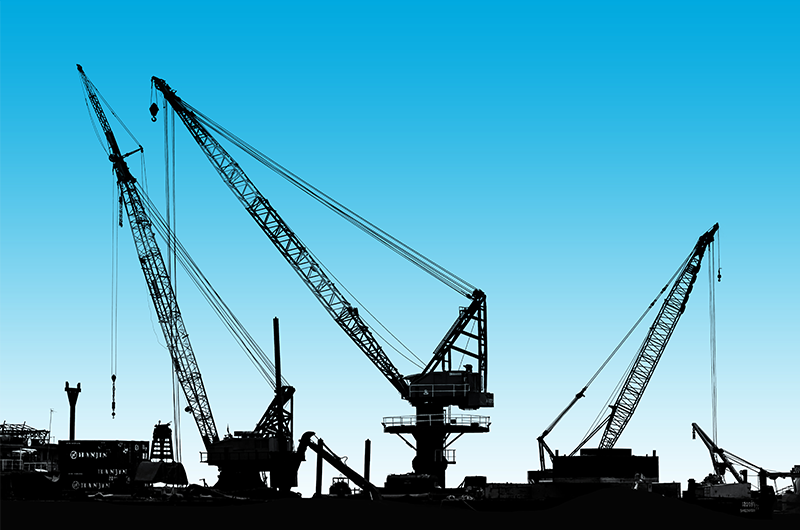 Overhead cranes incorporates wide range of hoist units on a variety. Large overhead crane used for transportation of the ladles of hot metal within the steel works. Are used to pull the skips of raw materials up an incline to the top of the blast furnace. Wire ropes are used within an accumulating system designed to handle the sheet steel.